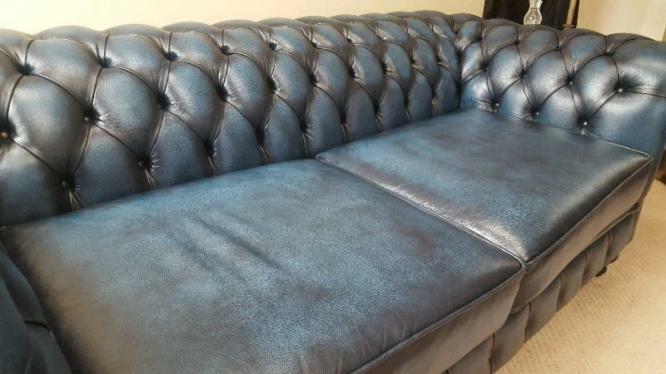 Made in England, hand finished antique blue Italian Leather Couch. Cushions custom made extra soft. Finished with silver colour Chrome Studs. 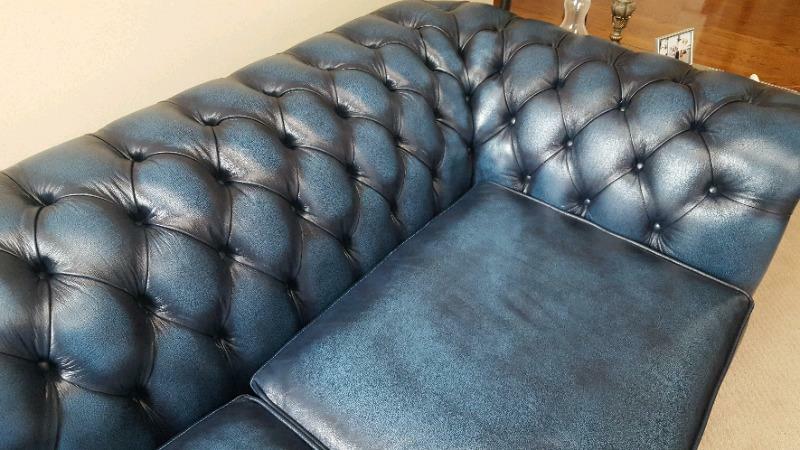 We have 2 more cushions you can replace the current ones. Slightly used. 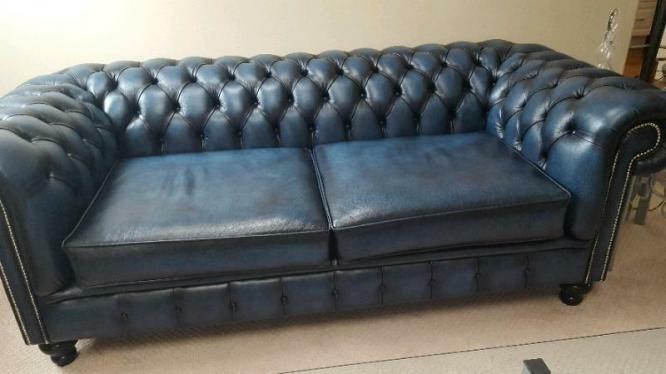 Timeless Chesterfield by Saxon. Imported from the UK. Free delivery nationwide!